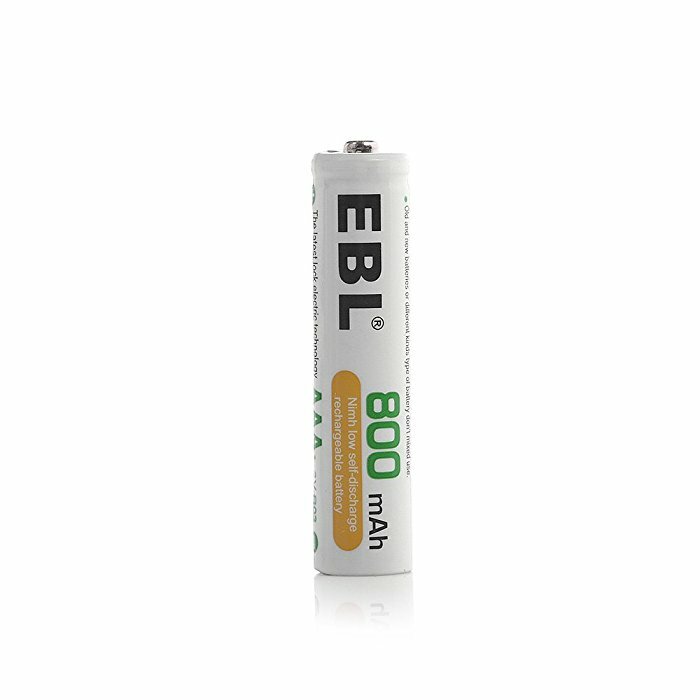 These 800mAh, 1.2 volts, rechargeable Ni-MH AAA batteries are well-made, brand-new, safe and powerful. 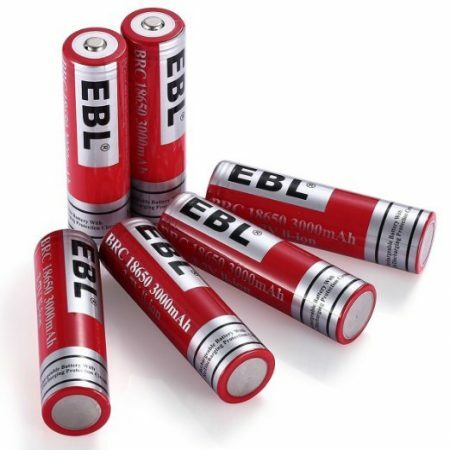 The environmentally friendly AAA batteries can be recharged conveniently and rapidly with up to 1500 recharge cycles for super long battery lifespan. 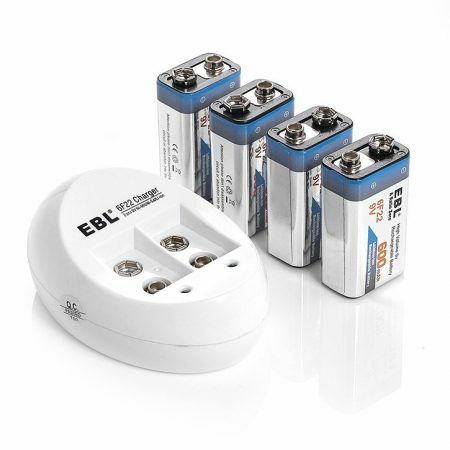 EBL has advanced technology to manage its rechargeable batteries’ self discharge. 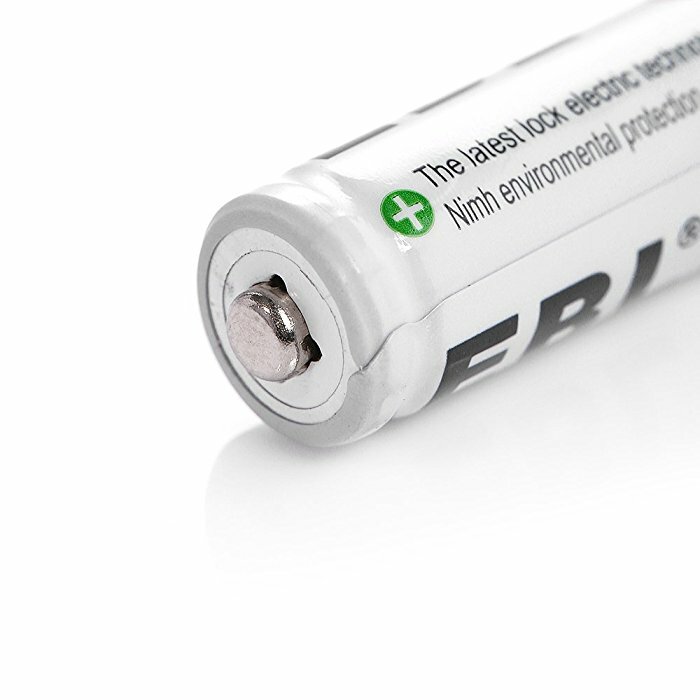 The AAA batteries will discharge themselves at impressively slow speed. They keep about 75% battery capacity for 3 years’ storage. 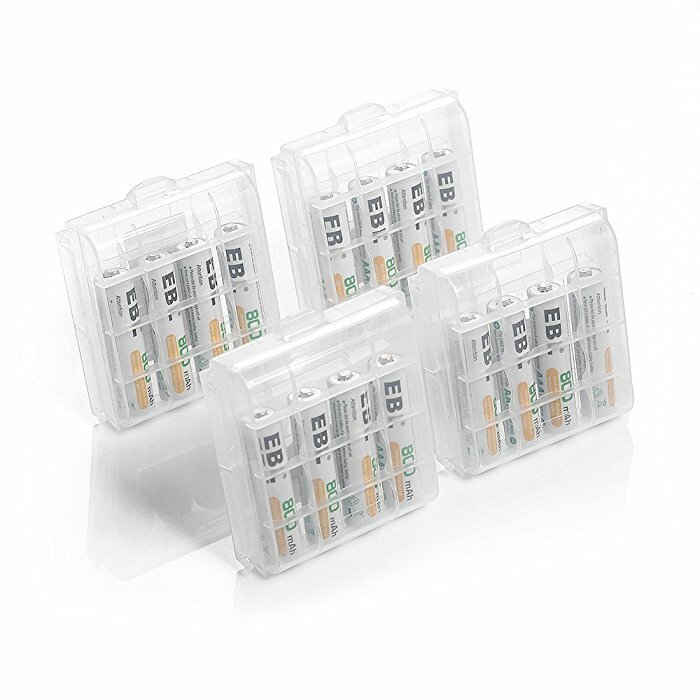 These 16-pack AAA batteries come with 4 battery storage cases for better battery care. 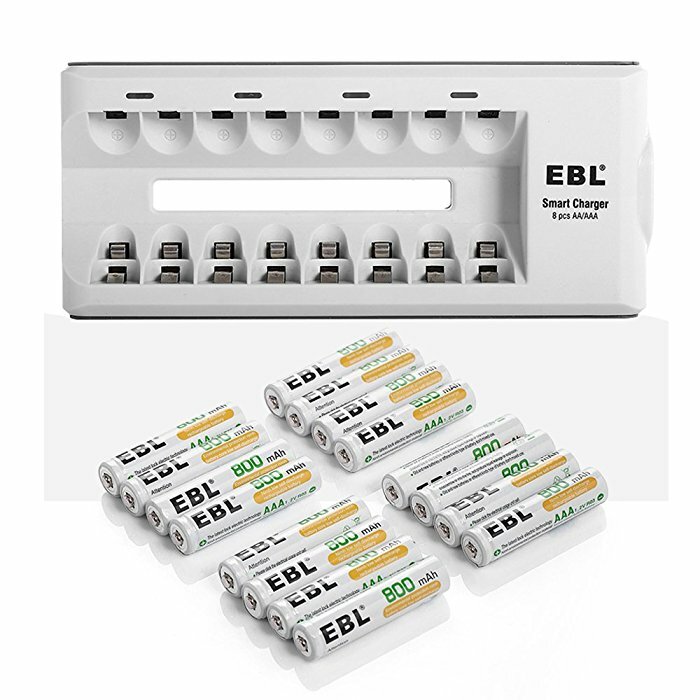 This EBL smart charger for rechargeable AA, AAA batteries has an 8 charging slots design. 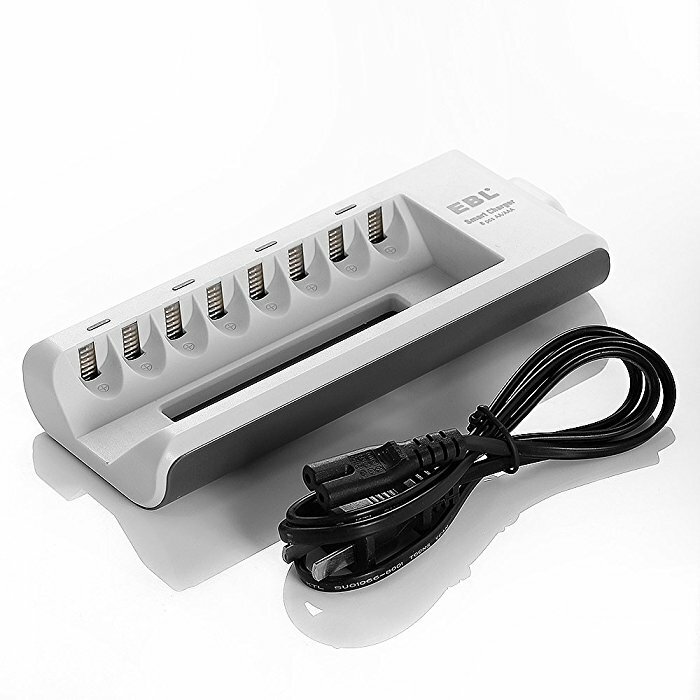 The 8 charging slots are able to charge 2, 4, 6 or 8 AA or AAA batteries simultaneously. The charger requires batteries to be charged in pairs. 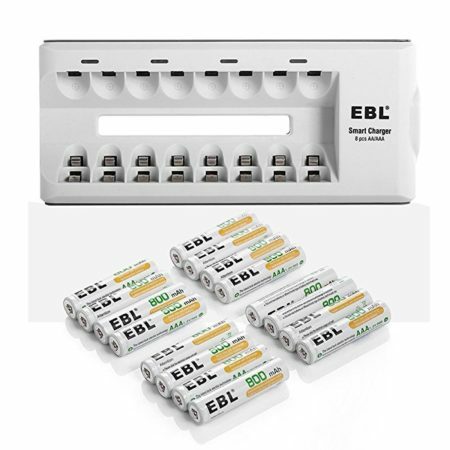 Uneven numbers of batteries should not be charged at the same time. 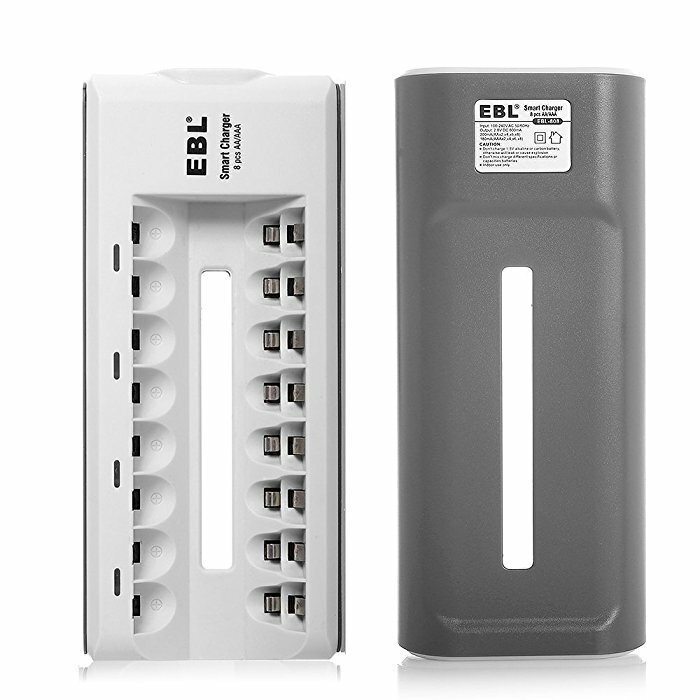 The EBL smart charger is highly intelligent battery charger with total protection against overload, over heat, reverse polarity and short circuit. It uses an advanced negative delta V cut-off function for protection. 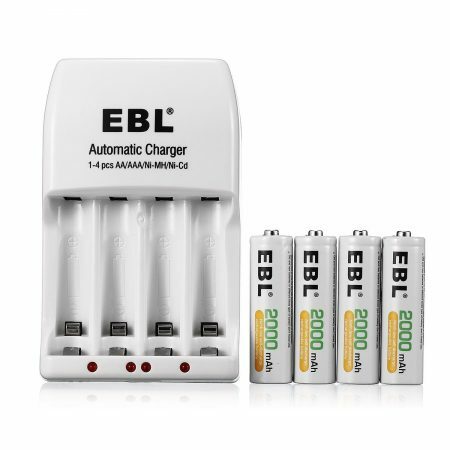 When batteries are charged fully, the charger will stop charging automatically to avoid producing excessive heat.